This message is the most difficult I have ever written. A ruling from the government has thrown us into grief and difficult readjustments. Please bear with us as we cope and adjust to this government ruling. Many tears have been shed. For five years, we have fought this event, but it has finally become a reality for the Urukundo Foundation. The Rwanda government has decided all orphanages and homes for children must close. This rule is across the board, no exceptions. The government is requiring us to close our children’s home, calling it an institution. This does not in any way affect Urukundo Learning Center. Urukundo Foundation is, as always, dedicated to providing education for those from low- or no-income families. 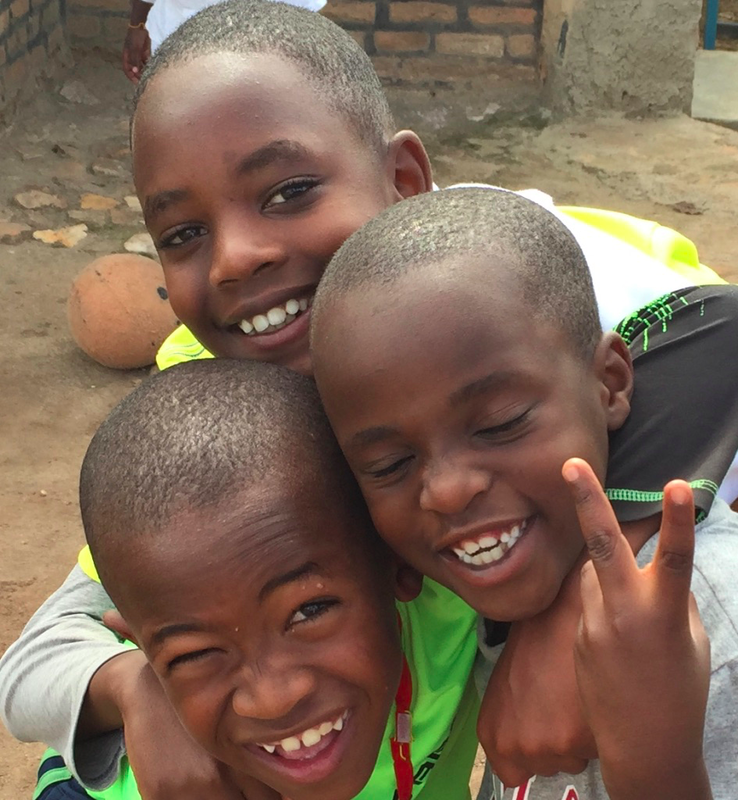 The school now has 702 community children in preschool and through Primary 6 classes. Enrollment will increase to over 800 in 2019. Our secondary students and university youth also are not affected by this directive. And we will continue to grow and benefit many needy children in our community. But the 25 younger children are being moved from their Urukundo home to be placed with biological parents, or, if there are no parents, in foster homes or with extended biological families. All are expected to be placed after the end of the 2018 school year in December. So far five of the children have been moved. They are Jason, Nelly, Kenny, Kenilla and Kaboss. As arrangements were made, we have notified their sponsors and asked for their continued support for school expenses, medical insurance and emergencies. Thirteen others still live with us but have been assigned to move in December. They are Jennette, Aline, Kevine, David, Sarah, Rebekah, Jacob, Claude II, Prince, Benitha, Yves, Isaiah and Livine. Still waiting to be assigned new families are Johnny, Egide, Luki, Soso, Claude I, Diane and Claudine. We are hoping all will be allowed to remain here until after Christmas when the older kids in secondary school and university are home to share the love with them. To say I am OK with this would not be true. My heart is breaking. The good news is the National Children's Commission has agreed that Urukundo will not lose the children. They will go to school wherever they live with their families but will come home to Urukundo to visit on school breaks. Urukundo is trying to cooperate with the government to make the transition easier for our children. We will have final approval of the foster families. We also have permission to monitor the children in school and in their new homes. Our child advocate Olive is visiting them at their homes and in their schools on an ongoing basis. Those placed near our school will continue to attend school here at the Urukundo Learning Center. Urukundo is paying school fees, equipment needed for school, medical insurance and any emergency conditions. These payments will go to school and medical facility bank accounts in the area where they live, not to the families.This assures us the children are in school and cared for. For those who sponsor individual children, it is our hope you will continue to care for the child you have loved. Your support will allow us to continue caring for the basic needs of your child and our dependent children. With your help we will continue to support and protect our Urukundo family children. Without your help, this will not be possible. Please pray with and for us and all the children as they prepare for this difficult transition. We also ask that God will give all of our children, staff and older brothers and sisters peace and healing for our broken hearts. The rainy season has started and some people of our Urukundo family are still living in high-risk zones. Please pray that they will be able to repair their houses or build new ones in areas where they will have access to clean water and electricity. These include the homes of Libby, our cleaner manager; Pastor Yves; and the family of Juliette, our human resources person. 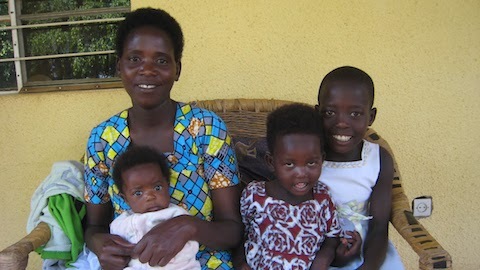 Mama and three little girls came to Mama & Baby Project for help. Thanks to so many of you, we can help. The big girls like their new clothes. Lookin’ good. Baby is 3 months. She also received clothing for her age and size. Mama’s front porch is the distribution center. Love it. We are careful to remember the other children in a family and give them something also. Don’t want hard feelings when the baby gets gifts and others don’t. Learned that from being the mom of five. This little one is a first child, and mama is so happy with a gift of clothes. The baby girl’s name is Belise. This little premie is loved by her mummy and Urukundo. Her mother came back to say thank you. I share that thanks with all of you. 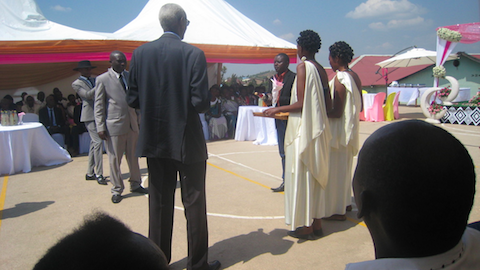 Weddings in Rwanda are fun -- especially if they are on our basketball court. Short walk to get there. 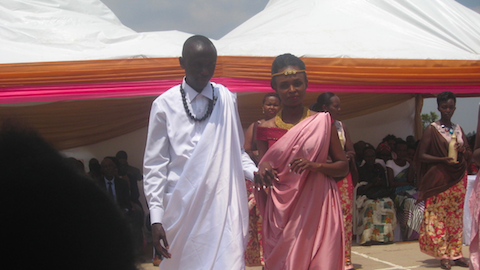 Francois, who is one of Urukundo’s mamas in the boys’ house, invited our volunteers and mama to her daughter’s wedding. Tents were rented and erected, music played, ceremony took place and delicious food was served to the guests. Sarah, myself and Anna dressed to the nines and attended the wedding. The bride was beautiful. The groom handsome. The colorful decorations were breathtaking. The Primary 6 students are our first graduating class from Urukundo Learning Center. The students, teachers and Urukundo managers had the very first field trip ever. But not the last. The field trip will be a yearly event. Large busloads traveled to Kigali, the capital of Rwanda. 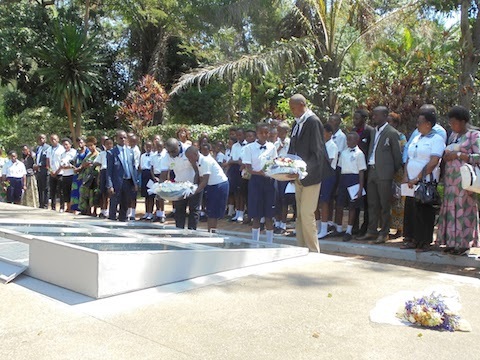 The group visited the Kigali Genocide Memorial Centre and paid respect and honor to those lost in the genocide. After the visit to the Genocide Memorial, the children visited the Parliament building, which is the seat of governing body in Rwanda. 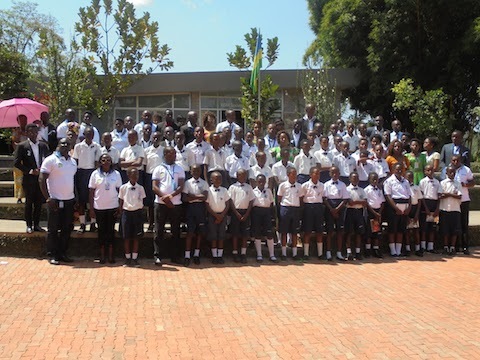 This was such an important day for Urukundo Primary 6 kids, teachers and managers. The students will graduate in November. A mountain fell into the small valley in Kibuye, located on the shores of Lake Kiva, about two hours from Urukundo. Lives were lost and homes destroyed. This is just one example what too much rain can do in Rwanda. There is no controlling nature. Not enough rain is not good, and too much rain is a disaster. 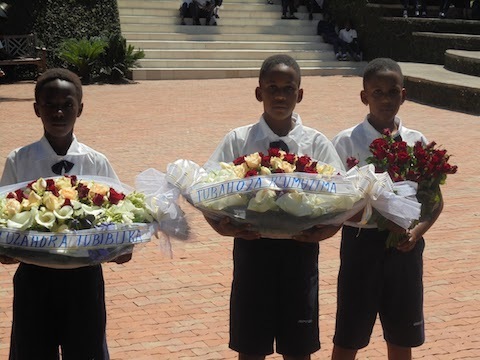 April marks a time of national mourning and remembrance of the 1994 Genocide Against the Tutsi. 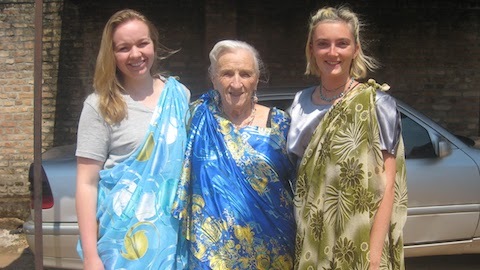 It’s a stark reminder of the pain of the past, but it also throws into sharp relief what Rwanda is today – a beautiful, safe and peaceful country full of hard-working and enterprising people who are building their nation for the better. Please pray for continued national unity, healing and reconciliation. April is the month dedicated to remembering the genocide of 1994. Pray for continued peace in Rwanda and wherever persecution, heartache and strife exist. We come together in love to make it a HOPE MADE REAL.